by Albereto Villoldo PhD: First, we learn how to control the stress in our daily lives. 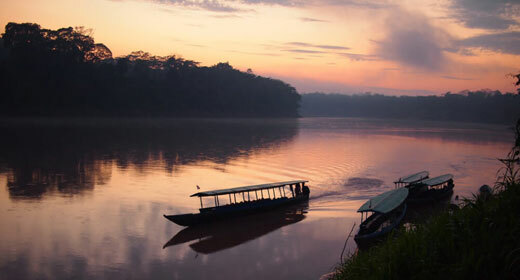 The popularity of ayahuasca retreats has soared in recent years. Traditionally consumed by shamans to communicate with the spirit world and understand their patients’ illnesses, this psychedelic concoction is now widely sought by those in need of physical or emotional healing, others who want answers or direction in their life, and also misguided tourists eager to experience a hallucinogenic high. What most modern users don’t understand is that their brains are fully capable of producing potent chemicals that create health, serenity, and joy—including DMT, dimethyltryptamine, the main component of ayahuasca. DMT is naturally produced by the brain when we dream, meditate, make love, and especially when we die. DMT provides the underlying brain chemistry for us to experience Oneness. The shamans know that Oneness—the awareness that we are an integral part of spirit and all creation—is key to restoring inner harmony, but it is possible only after we learn how to control the stress in our daily lives. Stress—which most of us experience to one degree or another—is a major inhibitor to producing DMT. In my forthcoming book, Grow a New Body, I discuss the many causes of stress, how you can recognize and take responsibility for your stressors, the ways that stress harms the brain and the body, and how to control the trauma in your life. But conquering stress and experiencing Oneness are just part of the extraordinary synergy that can take place in your body when you commit to long-term change. By ridding yourself of decades worth of toxins, repairing the biome in your gut, and enhancing your nutrition with superfoods and supplements, you can turn off the genes that produce disease and switch on those that promote health. You can, in fact, grow a new body that will allow your health span to equal your blissful life span. Stay tuned for next week’s article as we continue to learn how to Grow a New Body! 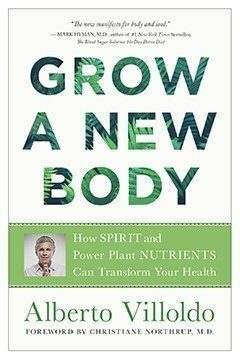 To pre-order the book, please go to https://growanewbody.com.